Took good care of us. wish we could have had more time at the Dead Sea. Good experience. I learned a lot. Horrible flight plans caused the trip to be very difficult. Group signed up for 2.5 years due to inability to fly because of weather event. Not able to make the trip for 8 months after the original delay. In that amt of time you would think customer service would have worked to make our trip as comfortable as possible. That does not include multiple layovers some for 6 to 8 hours. I just can’t imagine an experience that could be more lacking of concern for its clients. Arriving home after nearly 24 hour trip —one-way. 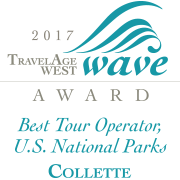 Thank you for traveling with Collette to Israel and for providing us with this feedback. Due to flight cancellations and the potential to miss multiple days of the tour, we moved your group to tour Israel from March to October 2018. Your comments on the air schedule will be reviewed by the Air department. LOVED our tour guide and driver. If I ever return to Israel I would want to go with them. However, the group was way too large. The flights were not planned well, too long of layovers in some places and not enough in some. We missed our first connection on the way back. I was not seated by the person I requested specifically to be seated by. Most of the hotels were not very nice for the amount of money I paid for the trip. LOVED my tour guide and driver. Khalil was super knowledgeable and friendly. Being in the places I’ve read and studied about in the Bible. Our tour guide was especially good. The trip was planned so that we saw so many things, more than we even expected. The hotels we stayed in were so very nice. See my comments above. We can't pick a favorite experience. We were overwhelmed with all that we saw. Love the app and the professionalism of the tour. Great experience. Perfectly executed tour by a highly recommended tour guide. They took care of our airline reservations since one of our flights was cancelled and we were flying directly from Toronto. Hassib worked very hard with Collette and was able to get us on Air Canada. I would recommend Collette to any of my friends. We were always satisfied with them. I know we got a lot to see but all in all it was exhausting. Up at 5:30, breakfast at 6:30 and on the bus at 7:30. Touring until at least 5 or later. Not much time to take pictures. Had to keep moving. Tremendous amount of people touring. All in all the trip itself was a lifetime of memories. Someplace I always wanted to visit and at age almost 77 was strenuous but worthwhile. I think the trip could be a few days longer but with a little more time to relax. Our tour guide was excellent and knowledge and very concerned about his travelers. I think his name was Ajab or sometime like that. We could call him Eddie. We did get to see everything we wanted and wish we did the tour a few yerars back when we were younger. Hotel food was excellent and plentiful. A place in the world we always wanted to visit. Join us on an inspirational journey that will strengthen your faith. This life-changing tour also includes time to explore on your own. Join us on an inspirational journey that will strengthen your faith. 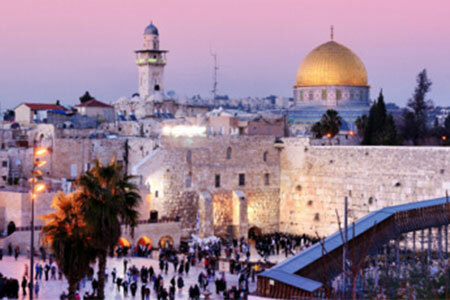 This life-changing tour includes daily worship at some of the world's most revered and historical sites. 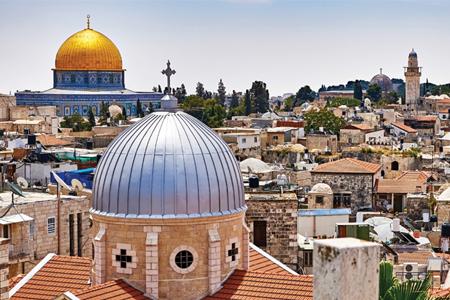 Travel to Israel and discover the legendary stories of mankind's collective history in Jerusalem, Bethlehem, Nazareth, and the ruins of Jericho. 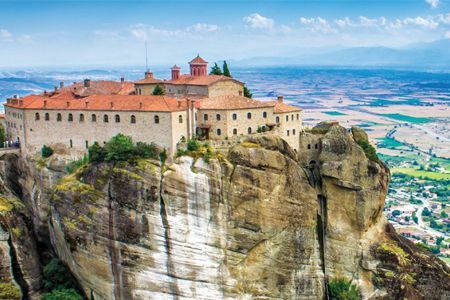 Travel through ancient cities and pastoral landscapes as you retrace the missionary journey of the Apostle Paul, prolific writer of the New Testament letters. And enjoy a cruise of the Greek Islands of Mykonos, Patmos and Santorini. 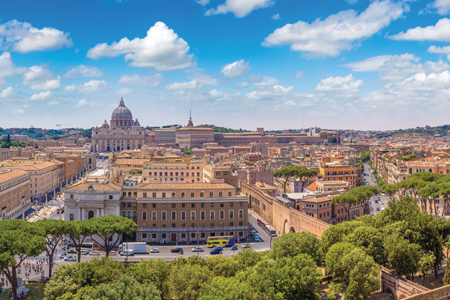 Join us on an inspirational journey through the rolling hills and lively cities of Italy to see some of the world’s most incredible religious sites and relics. Set out on a sojourn to the world's most revered pilgrimage centers. 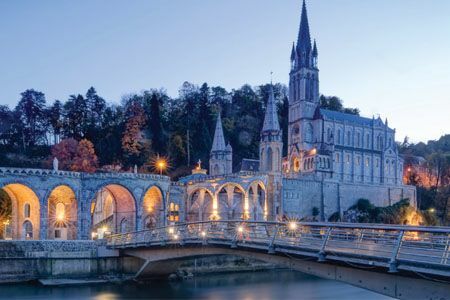 Two-night stays in each city allow you time to explore the wonderful cultures of Portugal, France, and Spain. Triple accommodation are not available in all hotels. When this is the case, a twin and single room will be assigned. Proper dress is required when visiting religious sites, sanctuaries, basilicas, etc. Due to flight schedules, you may require a very early morning departure from the hotel on the last day (Day 8). Travel distance from Jerusalem to Tel Aviv's Ben Gurion airport is approximately 1.5 hours (depending upon traffic conditions). Due to security checks, it is recommended that you arrive at Ben Gurion airport 3 hours prior to departure. Air passengers will depart from Tel Aviv airport and all transfers will depart from Jerusalem for Tel Aviv airport. In addition to Israel, this tour travels through the occupied Palestinian territory of the West Bank.